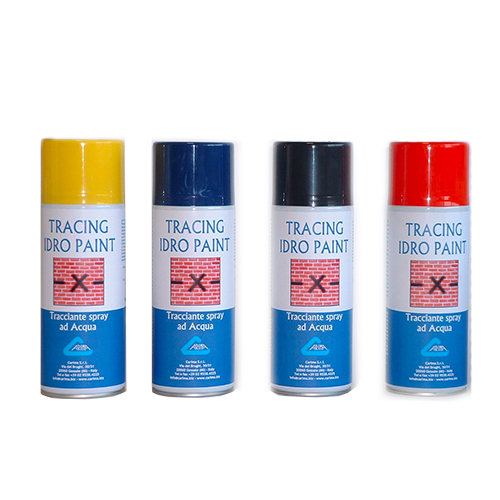 TRACING IDRO PAINT is an acrylic, water-based spray, suitable to trace, mark or delimit spaces, areas and corridors in construction sites. 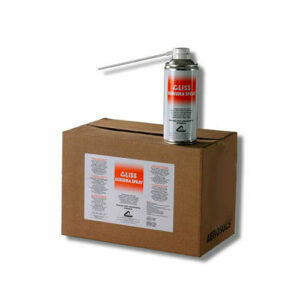 Suitable for both vertical and horizontal walls. 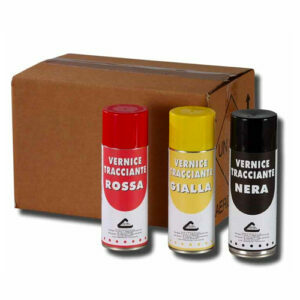 Ideal for interior and exterior surfaces, such as bitumen, asphalt, tiles, stone, concrete, plaster, marble, masonry, wood, plasterworks, foamed polystyrene, and any material particularly sensitive to traditional solvents.